Before shelling out big bucks for an alarm system, take basic measures to improve your home’s security. Many effective strategies cost very little or nothing. Most burglars enter homes by opening unlocked doors or windows, or by pushing, kicking, or prying locked ones until they open. Some break glass to reach in and unlock windows or doors. Only a few will break enough glass to walk or crawl through, or bash in a well-secured door, and they seldom pick locks. So start by making doors and windows as difficult to penetrate as possible. Get a security audit (most police departments provide them) to identify vulnerabilities. Install dead-bolt locks on all exterior doors. Secure sliding glass doors, which are notoriously flimsy. How-to Web videos can show you how, or you can pay a locksmith to do it. Replace weak doors. Solid-wood models are much sturdier than hollow ones. In high-crime neighborhoods, consider installing metal-bar doors. Secure windows. Double-hung windows can be secured by screwing together the two frames. To provide the most protection, a window should have unbreakable glazing or steel bars. 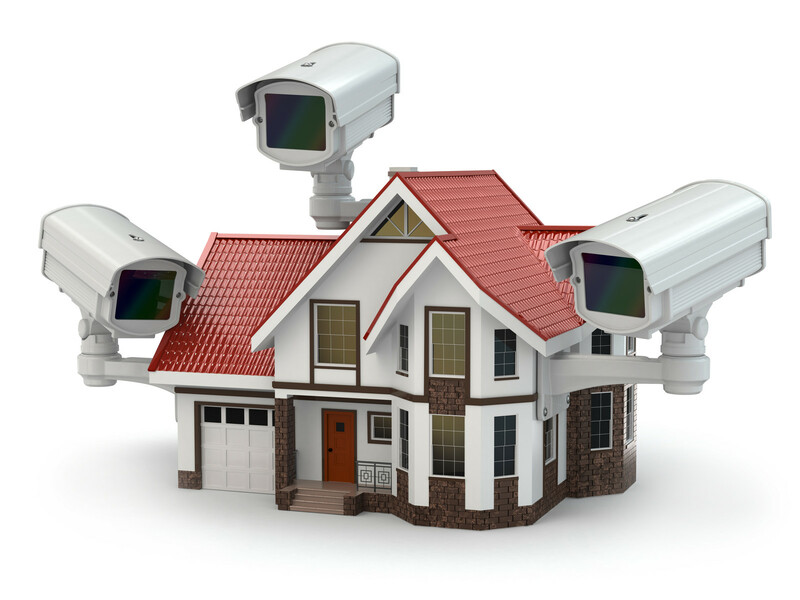 For millions of households, an alarm system is one component of a home-security plan. There is much evidence these systems help deter burglaries. In addition, alarm systems can help prevent fire damage; some even alert you to power outages, water leaks, and other problems. We recommend improving physical barriers to intrusion before considering an alarm system. At best, living with one is an inconvenience; at worst, it is enough of a hassle that many don’t use theirs regularly, or turn them off to prevent false alarms. Basic alarm protection should cover all exterior doors and windows intruders might reach. The system should activate a siren and/or notify a central monitoring station. Professional installation meeting these criteria usually costs $1,000 to $2,000. Some firms offer steep discounts to customers who sign long-term monitoring contracts – you can get a basic system for less than $500 with a three-year deal. Moderately heavy alarm protection covers other points of potential entry – second-story windows, attic doors, and skylights, using motion detectors, pressure pads, and sensors on cabinets and bureaus to detect intrusions when the homeowners are asleep or away. Such systems usually cost $1,500 to $3,000-plus. Even if you purchase a system with all the bells and whistles, it might do little good if it’s designed poorly or installed sloppily. Ratings and reviews submitted to Delaware Valley Consumers’ Checkbook, plus reports from our undercover shoppers, indicate that the expertise of home-security representatives varies greatly. Some appear to know little about actual alarm installation and spend minimal time inspecting homes. Many representatives seem more interested in explaining products and systems than figuring out how to give customers what they request. And with some, it takes considerable time and energy to get an explicit price. When you finally get an estimate from these salespeople, you can only hope they have understood the job’s nuances and will communicate them to the installer. On the other hand, some companies’ representatives are true experts, and have done installations in the past. They take a good look around the house, check inside closets, inspect the basement and other unfinished spaces, and bang on the walls. They seem to know exactly what the customer wants and what it takes to achieve that. You’ll find huge company-to-company price differences. When Checkbook’s undercover shoppers collected proposals for specific alarm systems and three years of monitoring services, they were quoted prices ranging from $1,847 to $4,420 for one home and $1,839 to $3,552 for another. When obtaining bids for installation, discuss payment terms. For maximum leverage, the best arrangement is to pay a chunk of the installation price 15 or 30 days after completion. Check the monitoring agreement for auto-renewal provisions. Some companies will, without prior notice and within a fairly short window, automatically renew monitoring service for a year or more. Because some firms routinely increase monthly charges, strict auto-renewal agreements can be bad deals for you.